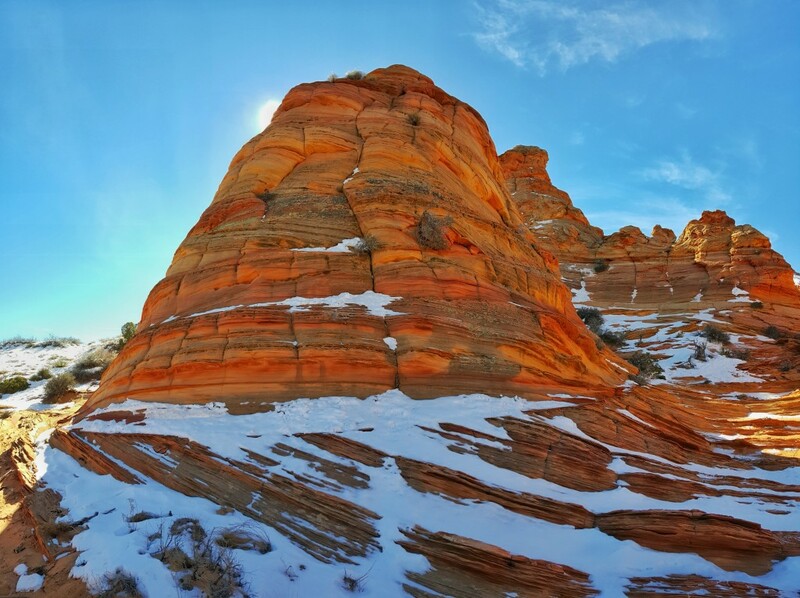 Just south of the Utah border with Arizona, between Kanab and Page, is the Vermilion Cliffs National Monument. 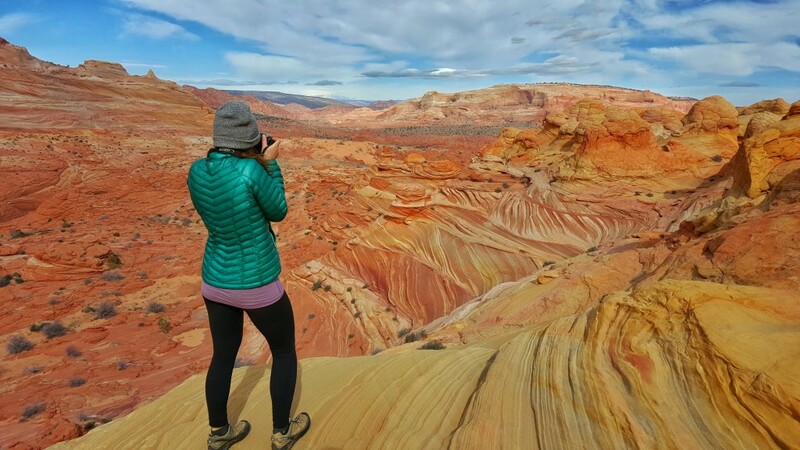 The National Monument covers areas including the Vermilion Cliffs, Coyote Butte, and the Paria Canyon. Just south of the Grand Escalante Staircase, this area has incredible rock formations, cliff walls with millions of years of erosion causing unique color and shapes. Utah and Arizona are popular destinations for Zion, Bryce Canyon, and the Grand Canyon. 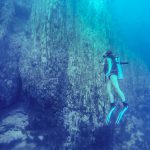 What most don’t know, is the BEST place to visit in Southern Utah and Northern Arizona, is one of the least popular destinations in the area. Welcome to Coyote Butte. The Wave & Coyote Butte has become one of the hardest places in the United States to get hiking permits, and the sheer beauty of this place is understandable why. If you haven’t heard of the Wave, it’s time to reconsider your next trip. Coyote Butte is known for its most famous place, the Wave. Featured on TV, magazines, social media, this hypnotic looking marvel of colorful sandstone rocks is something out of this world. 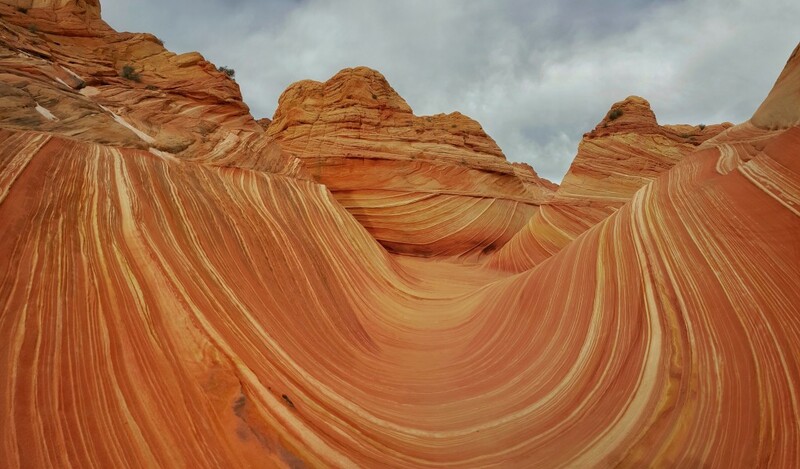 The Wave is heavily monitored due to its unique formations and soft sandstone that easily deteriorates. 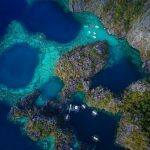 With the current permit system in place, this is one of the hardest hikes to get into in the United States. 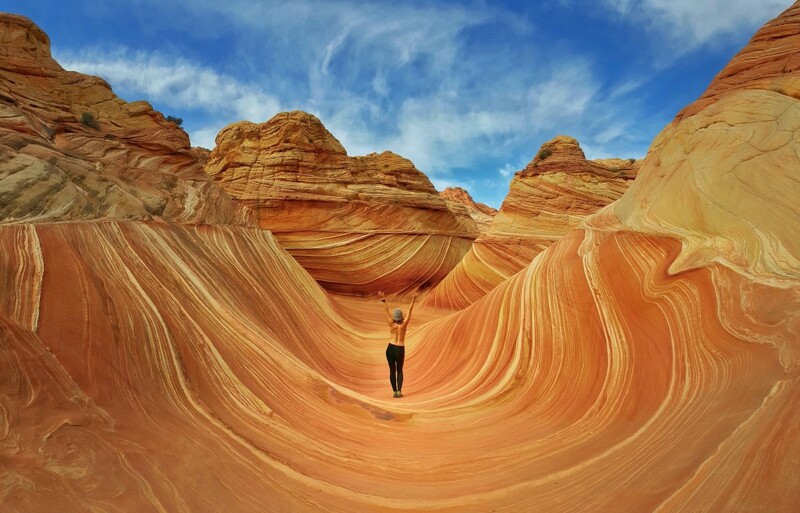 The best time to visit the Wave & Coyote Butte is in the spring and fall. Summer temperatures can reach above 100 degrees Fahrenheit, and permits are much harder to get. For the best chances of getting into the Wave, go in the winter when walk-in permits are more easily won. Snow can close the road to reach the Wave, so keep that in mind when planning a trip. 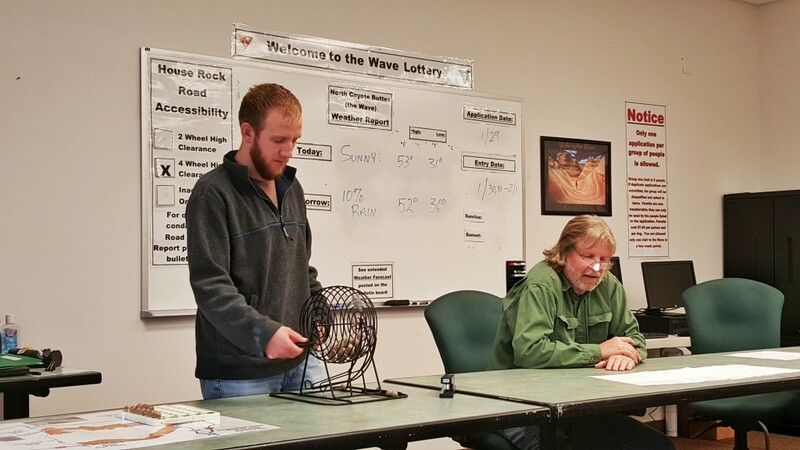 If you plan to attempt the Wave walk-in permits, you need to be at the Kanab Visitor Center in the morning for the drawing. If this is the case, it is best to stay in Kanab. 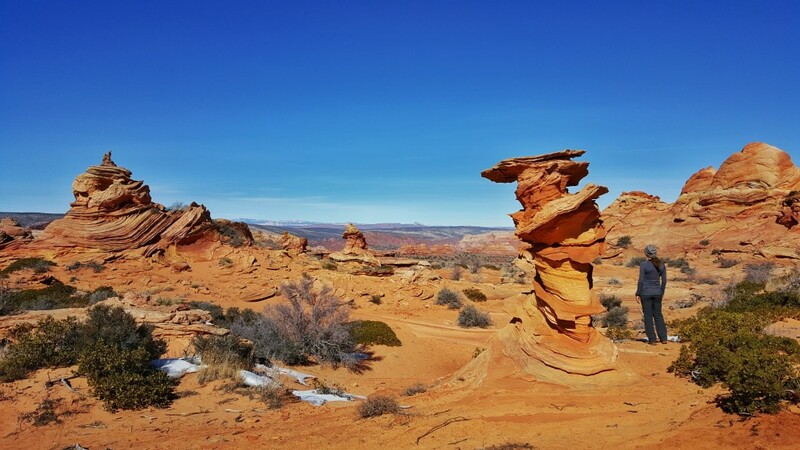 With pre-arraigned permits or stopped in Kanab, Utah to settle all your permits for the duration of the stay, you can also choose to stay in Page, Arizona. There are more activities in Page as well, such as Antelope Canyon and Horseshoe Bend. The turnoff to House Valley Road is exactly the same distance (~40 miles) from Page and Kanab. Kanab: The Flagstone Boutique Inn & Suites has nice suites (up to 4 people) for $100. Page: The Red Rock Motel has double rooms for $110. There are 20 permits for this hike each day, 10 from online (book 4 months ahead) and 10 from the walk-in lottery the day earlier. For the best information on obtaining permits, read the Wave BLM website here. Walk-in permits are available at the Kanab visitor center. During summer, they are open 7 days a week. During winter, they are open Monday through Friday. The lottery for weekends and Monday permits occur on Fridays in the winter. At least 1 person in the group must arrive by 8:30 am. Everyone will be given very clear instructions on the lottery process. Groups are selected until 10 lucky hikers get the lottery for the following day. They are very strict with a max of 10 people. For example, if there are only 2 permits left during the lottery, and you have a group of 3, you either can accept only 2 people to go, or deny it entirely. However, if there is only 1 permit left, they will allow 2 people to go, as they do not allow for anyone to hike alone for safety purposes. In the winter there could be anywhere from 30 to 100 people attempting to get walk-in permits. Summer walk-ins can range from 200 to 400 people daily. From the Kanab Visitor Center, drive 38 miles East on Highway 89 towards Page. There will be a sharp curve, with many signs, including a blinking sign. Immediately before the curve turn right on House Rock Valley Road. Drive 8 miles to Wire Pass Trailhead on the right, just past the Arizona stateline. The hike to the Wave does not have any signs or trail markers. It would be very easy to get lost on this hike. When a group is given permits, they are given a step-by-step guide with pictures on how to reach the Wave. 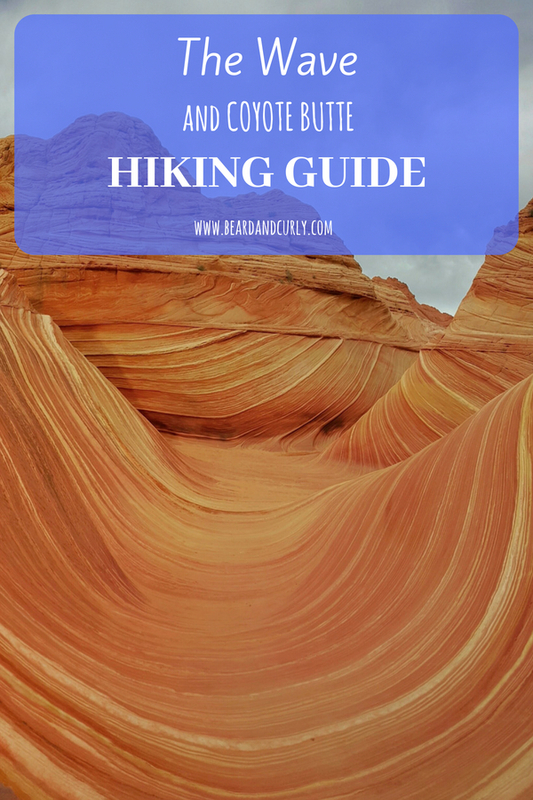 The formations change throughout this hike, and as you get closer to the Wave, the mixture of colors in the sandstone becomes more pronounced. This hike is not challenging, but it is fully exposed. If done in the summer, make sure to bring plenty of water. The best time for photography at the Wave is mid-day. This is the best time to shoot with limited shadows. Parking for Buckskin Gulch is at Wire Pass Trailhead, the same parking area for the Wave. From the Wire Pass trailhead, hike across the road into the wash. 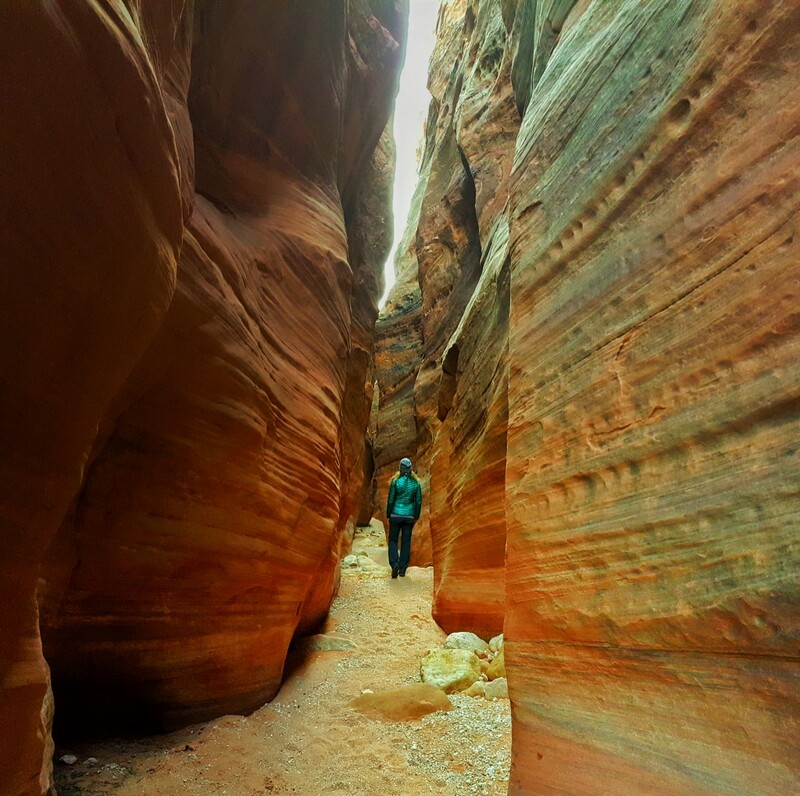 Turn left and hike 1 mile until you reach the entrance of Buckskin Gulch. You can hike into the gulch as far as you want. There are sections it is very wide with massive cliff walls. Other sections are very narrow slot canyons. This is a great hike to combine with the Wave. The best time to visit Coyote Butte is in the spring and fall. Many get Coyote Butte South permits as a result of unsuccessfully obtaining Wave permits. 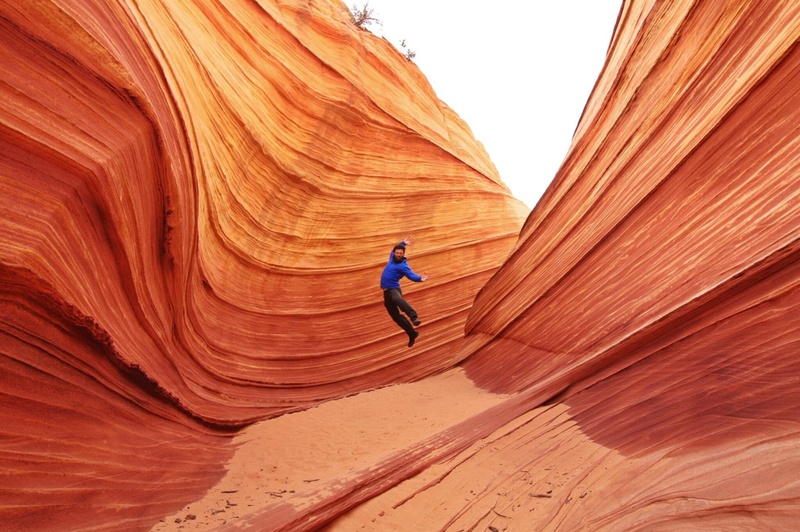 Although, the Wave is exceptional do not get discouraged, Coyote Butte South is awesome too! Paw Hole, Cottonwood Cove, and White Pocket all need 4wd high clearance vehicles to reach the trailhead. Most days of the year there are permits available for walk-in. However, there is a lottery system during the peak summer season. Permits are available in person at 10 am, for the following day. Same day permits are available if the current day’s allotment is not full. Drive on House Rock Valley road for 16.1 miles. Turn left to Paw Hole Trailhead. Continue for 2.3 miles where there is a parking lot and trailhead sign. From the turn off at House Rock Valley road, the road is only suitable for 4WD high clearance vehicle. Paw Hole does not have one trail to stay on, so explore as you like. The best section to explore is 1 mile from the parking area if you continue to the far side of the rock formations. This is a great hike to combine with Cottonwood Cove. Grab a map from the visitor center. It is confusing to reach Cottonwood Cove, without a map we would have never made it there. Keep in mind, any turnoffs from House Rock Valley Road need 4WD high clearance vehicle. 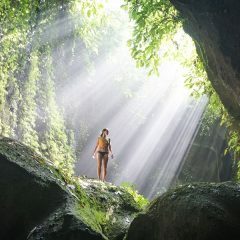 You could easily get lost hiking in this area, so take note of your car location with GPS and pay attention to landmarks. Cottonwood Cove is a large area so allow several hours to explore. The rock formations begin 0.5 miles from the parking area, and from here there is no trail.